The Caravan was established in 1972 by musician/composer Bill Vanaver and dancer/choreographer Livia Drapkin Vanaver. Their love for the world’s diverse cultures and commitment to their art has delighted artists, students, teachers and audiences for almost half a century. Their down-home, high-spirited performances have been presented throughout the U.S., Europe, Southeast Asia, and North Africa, including appearances at major festivals such as: Jacob’s Pillow Dance Festival, the Smithsonian American Folklife Festival, the Bienale de la Danse in Lyon, France, Tanz & Folk Fest Rudolstadt Festival in Germany, Harbourfront in Toronto, and the Sidmouth International Festival in England. The Vanaver Caravan’s broad repertoire covers percussive Appalachian clog dancing, featured in the “Pastures of Plenty” tribute to songwriter Woody Guthrie, and TVC’s world dance and music show, “EarthBeat”. TVC’s new show, Turn, Turn Turn! ~ Celebrating Pete Seeger in Dance and Music is comprised of more than 20 of Pete’s beloved songs and features exceptional choreography and musical arrangement. There are also reconstructions of works by modern dance pioneers Ted Shawn and Ruth St. Denis, and original choreography by Livia, with full orchestral accompaniment composed by Bill. The Vanaver Caravan weaves tapestries of dance and music with effortless skill and precision. The Caravan has a longstanding commitment to social action projects. Since its inception TVC has collaborated with Friendship Ambassador’s Foundation, which brought the Company to work at the Balkan Peace and Reconciliation Conference in Romania and Bulgaria. In 2002, the Company created an arts and healing program with Friendship Ambassador’s for 9/11 victims that included workshops and retreats with children and adults. 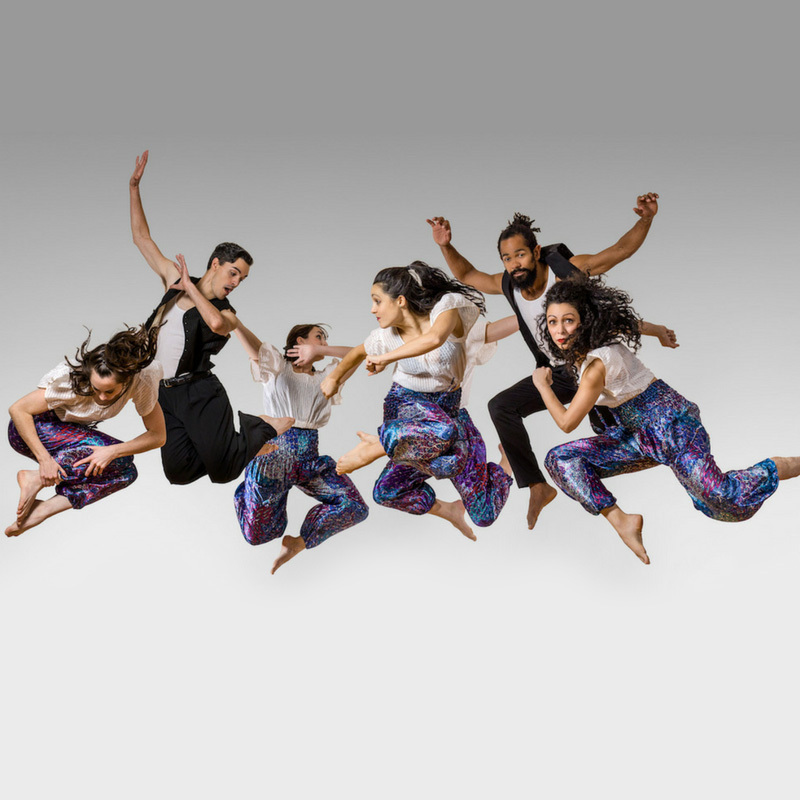 TVC currently works with the NYU Global Dance & Music Initiative, Translucent Borders and traveled to Greece to work in the refugee camps in March. The Caravan has worked alongside activist and folk legend, Pete Seeger since the 1970s, performing annually at the Clearwater Revival Festival, and carrying on Pete’s legacy in both performances and arts-education programming. Last summer, The Caravan Youth Company performed at the United Nations for the Youth Delegates Assembly. Since 2012, The Vanaver Caravan has been working in India under the umbrella, Shakti Caravan, creating youth dance exchange programs, free martial arts self-defense courses for women, environmental action projects, and arts-education programs. The Vanaver Caravan has also pioneered in-depth Arts Education Programs throughout the U.S., for both public and private schools, often creating a curriculum in conjunction with teachers and administrators. Through the Dance Institute, TVC offers summer intensive programs (The CaravanKids Project and SummerDance on Tour) as well as after school classes throughout the school year. At home in a symphony hall, an outdoor festival, a classroom, school assembly, or conference, The Vanaver Caravan has captivated audiences around the globe in a celebration of dance and music that the world has always, and will always, need. Recognizing that the arts often communicate what words fail to express, the mission of The Vanaver Caravan is to inspire, through dance and music, the harmonious co-existence of world cultures and traditions, to promote peace and celebrate our humanity. We envision a world where people understand and respect one another – where our differences unite rather than divide us.